Kamemochi (Mineta Kazunobu) is a useless guy with no accomplishments who lives somehow or other each day. 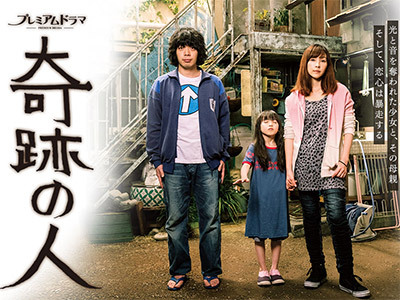 Tsurusato Hana (Aso Kumiko) is a tough woman fighting against a harsh life. One day, he falls in love with her. Hana has a daughter Umi (Sumida Moeno) who is both deaf and blind and she experiences all sorts of difficulties in daily life. Kamemochi decides that what he needs to right now is to help mother and daughter. Making up his mind to become Umi�fs teacher and teach her about the world, Kamemochi begins his first impulsive attempt in life and his single-minded thoughts create an incredible miracle.